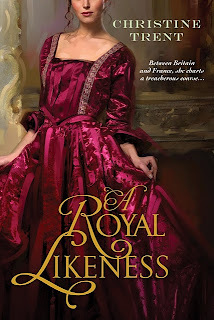 You are the winner of A Royal Likeness , the new novel by Christine Trent! Yippee! An email has been sent your way. As always, thanks to everyone who entered and helped spread the word and to Christine for providing the giveaway copy. Congratulations, Malena. I'm sure you'll enjoy this book. thank you so much, I am delighted! I cannot wait to read it after seeing all those positive reviews of it.